Red Deporte has completed the training process of 40 young coaches of Football for Health in Cameroon. 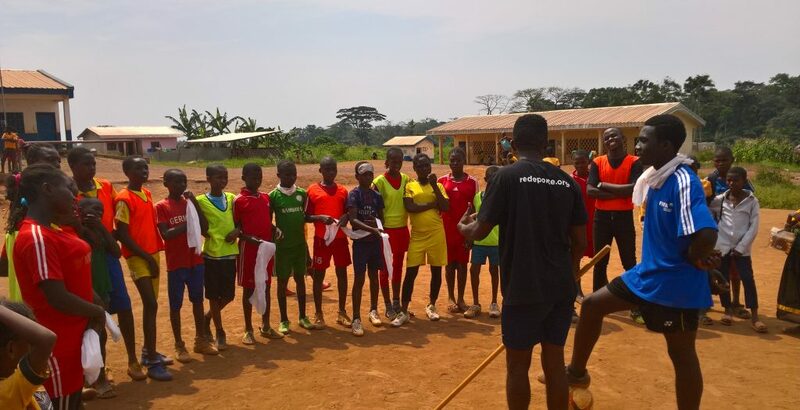 This training is part of Red Deporte intervention in the Eastern Region of Cameroon, a region, which hosts close to two hundred thousands refugees, from the Central African Republic. The program aims to train coaches in the prevention of HIV – AIDS, malaria and promotion of basic hygiene among the most vulnerable children and young people. These activities are mainly carried out in a context of football training. All the participants have passed the final evaluation tests of the program and, as a result, we will be able to reach a figure of close to 3,000 young people who will benefit from health promotion activities in the community. The program primarily focuses on three critical community health issues: malaria, HIV-AIDS and basic hygiene. Malaria, in 2016, caused 216 million deaths. 91% of deaths are in Africa. HIV / AIDS has claimed 40 million lives to date. In Africa, there are two-thirds of new cases in the world. The lack of basic hygiene is related to the transmission of cholera, diarrhoea, typhoid fever or polio, causing 280,000 deaths annually. The most in risk population are children and youth, making the playing field an ideal environment to promote community health.